Daniel Boulud is Chef-Owner of several award-winning restaurants and the Feast & Fêtes catering company. While he hails from outside Lyon, France, it is in New York that he has truly mastered the dining scene and is today considered one of America’s leading culinary authorities. Raised on his family’s farm in the village of Saint-Pierre-de-Chandieu, the chef remains inspired by the rhythm of the seasons and menus driven by fine ingredients. Since arriving in the US in 1982, Boulud has become renowned for the contemporary appeal he adds to soulful cooking rooted in French tradition. Daniel Boulud’s New York City restaurants include his flagship DANIEL (1993), Relais & Châteaux member; the elegant one-Michelin star Café Boulud (1998) with its adjacent cocktail bar, Bar Pleiades; his contemporary Parisian bistro, db bistro moderne (2001); two Upper West Side restaurants including the charcuterie-centric Bar Boulud (2008) and the Mediterranean-themed Boulud Sud (2011). Épicerie Boulud (2011), with locations across from Lincoln Center, within The Plaza Food Hall and in the Oculus World Trade Center, is an eat-in and take-out market and café, with exquisite homemade and gourmet items from around the world. Beyond Manhattan the chef has created Café Boulud in Palm Beach (2003) and db bistro moderne in downtown Miami, Florida (2010). Boulud has extended his culinary reach internationally with db bistro moderne at Singapore’s Marina Bay Sands (2010), Bar Boulud London (2010) at the Mandarin Oriental Hyde Park, Café Boulud at the Four Seasons Hotel Toronto (2012), and Maison Boulud at the Ritz-Carlton Montréal (2012). In September 2014 he opened DBGB Kitchen and Bar at downtown Washington D.C.’s CityCenterDC, and a third Bar Boulud, in Boston’s Mandarin Oriental on Boylston Street. Boulud’s culinary accolades include James Beard Foundation awards for “Outstanding Restaurant,” “Outstanding Restaurateur,” “Best Chef, New York City” and “Outstanding Chef of the Year.” He has been named “Chef of the Year” by the Culinary Institute of America and Chevalier de la Légion d’Honneur by the French government. Restaurant DANIEL has been cited as “one of the ten best restaurants in the world” by the International Herald Tribune, has earned multiple Michelin stars and Wine Spectator’s “Grand Award”. 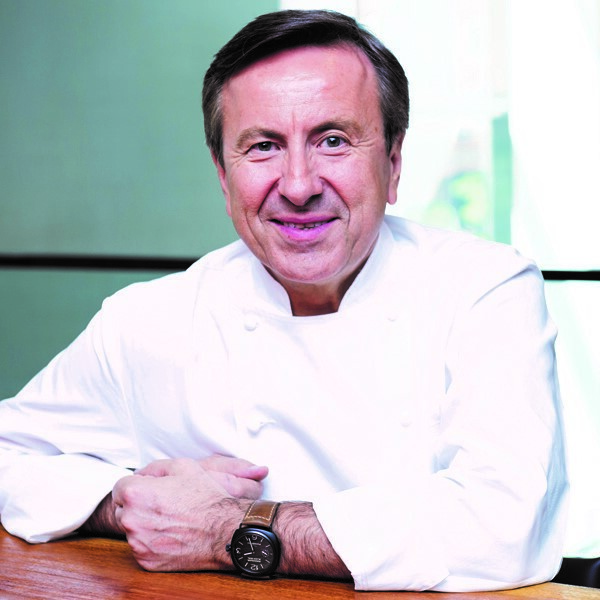 In 2015 the World’s 50 Best Restaurants awarded Boulud the Diners Club® Lifetime Achievement Award for his success as a restaurateur, businessman, and ‘chef who is revered as one of the world’s finest.’ Boulud’s culinary style is reflected in nine cookbooks, including the definitive DANIEL: My French Cuisine (Grand Central Publishing, 2013) and his most recent My Best: Daniel Boulud (Ducasse Books, 2014).